31.10.2012 (Hvino News) According to government statistical agency "Geostat", sale of natural Georgian wine in world markets during January-September of this year increased by 18.4%. During this period, total exports of natural wine was 42.646 million U.S. dollars. In 2011, the figure for the same period was 36.023 million U.S. dollars. In Georgia's top ten leading export products the Georgian natural wine ranked ninth. The share of wine in the export is 2.4%. 30.10.2012. The state will not have to subsidize rteveli (vintage) after expansion of wine export and financial strengthening of private companies, said Gigla Agulashvili, Chairman of the Agriculture Committee. He says that the committee has already started working on the issues on vintage preparation and all significant issues will be simultaneously discussed, including export markets issue. Prime Minister Bidzina Ivanishvili said that he would resume trade and cultural relations with Russia without any preconditions and, if everything went perfectly, "this year's harvest would be exported in the Russian market as well"
Agriculture Committee Chairman also speaks about intensity of agricultural land purchase by foreigners in Georgia. In his words, the government will not interfere in private ownership, but the state should create such conditions for farmers in order he not to have a desire to sell the land. Agulashvili claims that one billion fund which has already started to operate, will help the farmers. 31.10.2012. 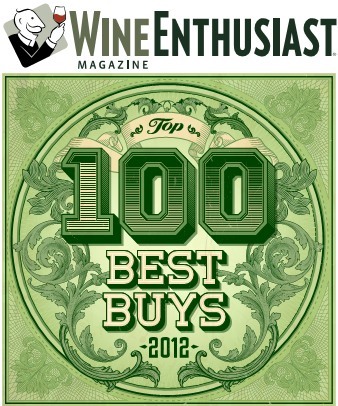 Six of Marani wines, with quite high points ranging between 88-86, are among the "Best Buys" at Wine Enthusiast December 2012 Buying Guide. Wine Enthusiast is the Internet's most extensive and user-friendly wine magazine that offers the wine lovers and professionals wine ratings throughout the world as well as wine features, tips for wine pairing and tasting and much more. 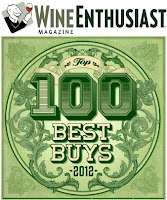 Wines labeled as "Best Buys" means that each of them possesses an excellent quality-to-price ratio. The list is usually made up of wines that showcase the best relationship between score and price while also assessing other factors like availability and buzz. 30.10.2012. The Georgian side is ready to create a working group on trade with Russia which will work to return Georgian wine, mineral water and agricultural products to the Russian market, Georgian Agriculture Minister David Kirvalidze told journalists. He said the issue was discussed during a working meeting with Prime Minister Bidzina Ivanishvili. Kirvalidze stressed that one of the "main issues" at a meeting with the Prime Minister was the return of Georgian products to the Russian market. "Georgia, as a member of the World Trade Organisation (WTO), may need to review the Russian ban on imports of Georgian products. Likewise, the head of Rospotrebnadzor Gennady Onishchenko said that they are ready to restore purchasing Georgian products if the Georgian side will not prevent it," Kirvalidze said. Imports of Georgian products to the Russian Federation have been banned since 2006. 29.10.2012. (Hvino News). 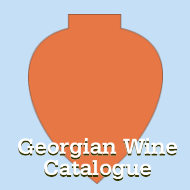 Hvino News is pleased to offer to its readers the Wine Map of Georgia. This map was made available to us by the author Mr. Wojciech Bosak, who kindly provided the map and gave us permission to publish his material. 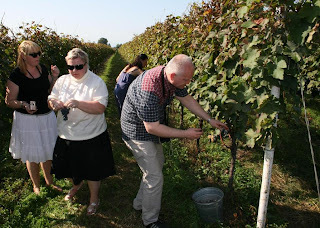 Mr. Wojciech Bosak is wine journalist and writer from Poland. 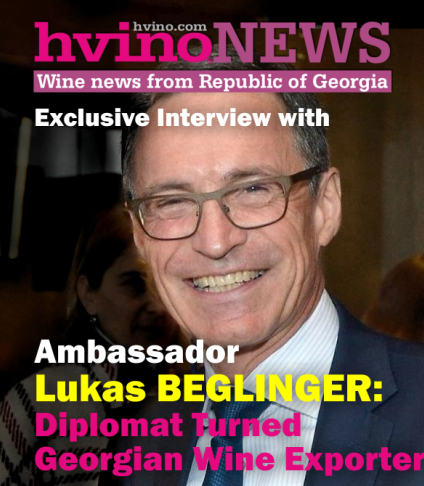 When Hvino News asked him why he decided to make the Georgian wine map, Wojciech's answer was very simple: "Previously I published several articles on Georgian wine, and when I wrote the the last one about Georgian wine appellations I just needed a map. That is the story". You may find the map in our site's section Appellations. It can also be found in the section Maps of Hvino TOUR News - our new resource on Georgia's tourism. Comments from wine experts about the map are always welcome. Hvino News would like to thank Mr. Wojciech Bosak for his contribution. © Hvino News, © Wojciech Bosak. 26.10.2012 (Hvino News). On October 25, the Moscow regional office of Russia's Sanitary Agency Rospotrebnadzor canceled the registration certificates for alcoholic drinks produced in Abkhazia. The banned products include: "Abkhazian Champagne" produced by "Abkhazian Juices" in Gagra, "Achara", "Achara Special", "Abkhazian Sparkling," "Abkhazian Bouquet", "Novy Afon", "Cognac Abkhazia", "Ainar," "Ataud", "Nar", "Lykhny", "Absny" and others, according to Nasha Abkhazia. Among banned products there is also natural mineral water "Sno", bottled by "Aqua Geo Ltd" registered in Mtskheta Region, Georgia. Rospotrebnadzor did not clarify if the ban applies only to Moscow Region or to the whole Russian Federation. 25.10.2012 (Hvino News) Head of Rospotrebnadzor, Russia's Chief Sanitary Doctor Gennady Onishchenko said that his ministry is ready to consider the admission of Georgian wine and mineral water to Russian market, if requested. "If they [Georgian authorities - HN] apply - we'll decide. I wish no one will interfere" - said Onishchenko to Russian news agency Interfax today. According to him, the necessary condition is visit of Rospotrebnadzor's specialists to Georgia for inspection of local companies. "But we will not rush. If we are asked - we will go. The business is ready. Regarding the Georgian authorities, for us it is terra incognita, - Onishchenko said. - If the business wants to come to the Russian market, and the government will not interfere, perhaps it is can be regarded as positive preconditions". Russia's Chief Sanitation Doctor to meet Georgian winemakers, Georgian export stumbles over Tbilisi’s uncertain political will. 25.10.2010. Decanter magazine is one of the world’s best wine magazines. Decanter was first published in the UK in 1975, and today is read in over 90 countries worldwide by wine lovers and wine professionals alike. Decanter magazine experts recommend 4,000 wines a year. Since 2004 Decanter organizes the annual Decanter World Wine Awards, gaining a reputation as one of the world’s most respected and influential wine competitions. In September 2012, Decanter Asia Wine Awards (DAWA), the Asian arm of the Decanter World Wine Awards was launched in Hong Kong. It is open to wines from around the world, but focusing on those that are available in the Asian market. Judges at DAWA include best sommeliers, Masters of Wine, wine journalists and experts from all over the world. Wine Man winery was founded in 1998 in Georgia and since then has been focusing on producing Georgian high-quality wines. The wines are created in Kakheti region by one of the best winemakers in Georgia – Revaz Lashkhi and David Maisuradze. Winery exports its wines to Ukraine, Kazakhstan, Netherlands, Czech Republic, USA, Canada, Kirgizstan and China. This year Wine Man participated with three wines in DAWA and achieved the great success by receiving Gold medal (95-100 points) and Central & Eastern European White Regional Best Value Trophy for white dry Tsinandali 2010 as the best wine among all Gold medal winners within its category. Dry red wine Saperavi 2010 won Silver Best Value medal (90-94 points) and dry red wine Mukuzani 2009 won Bronze medal (85-89 points). 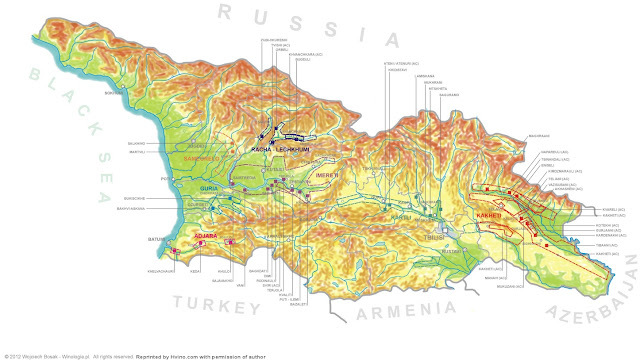 Read also: Decanter Asia Wine Awards: 20 Georgian winners announced. 16.10.2012. Oh, orange wine, how I adore thee. For lovers of odd wines, orange wines are somewhat of a cult item, prized for their weirdness and obscurity. Unlike rosé, which gets its color from a few days of contact with grape skins, orange wine is left to ferment -- skins, stems and all -- for months at a time. They look, well, orange, and they taste pretty odd. The weirdness and obscurity is part of what appeals to me, but mainly I love orange wines because they are so food-friendly. Some people say they're difficult to pair -- I disagree. And if you're a white wine lover who's looking for a non-red to pair with heavier foods, this is the wine for you. Alaverdi Monastery's Rkatsiteli is hardly an entry-level orange wine. There are orange wines from Italy and elsewhere that are closer to a very dry rosé (although still stranger, more oxidized, less fruity). But the orange wines of Georgia (the country, not the state), where Alaverdi Monastery has been making wine since 1011, are almost a different beast entirely. The Rkatsiteli is made in clay pots, and is extremely tannic -- usually a trait reserved for red wines. As a result, you could drink this wine with a steak: The wine has enough tannins and structure to stand up to just about any kind of food. It also tastes and smells like damp autumn leaves, like dried fruit, like walnuts. It's absolutely bizarre, fascinating and delicious. Alaverdi Monastery Cellar Rkatsiteli 2010 is available from Silverlake Wine for $26. 24.10.2012 (Hvino News) The first Decanter Asia Wine Awards, a sister competition to the Decanter World Wine Awards, attracted 2,249 wines from 42 wine regions. 20 Georgian wines received prestigious medals of Decanter Asia. The wines will be introduced by International Wine Challenge co-chairmen, Tim Atkin MW and Charles Metcalfe, and include selected wines from Georgia, Turkey, Lebanon, Egypt and Armenia. Atkin described the tasting as "potentially one of the most exciting, ground-breaking tastings of the decade, bringing together wines from one of the most dynamic corners of the globe in a way that has never been done before". 19.10.2012. On the balmy, tranquil afternoon of Sunday October 14 evidence was abundant that Chateau Mukhrani is well on its way to becoming a resplendent wine estate. Though the holiday of Svetitskovloba was being observed in Georgia, a crew of builders busied themselves with the renovation of Mukhrani’s historical chateau, and even Bombora, the chubby Caucasian shepherd who guards the stables so stalwartly, if with discretion, made a mad barking charge toward the fence when a potential interloper on some noisy vehicle suspiciously resembling a scooter had the gall to go driving past. But since the village of Mukhrani is a little different from, say, Trieste, where everybody and his brother and his grandmother seem to tool around on a Vespa, Bombora for the most part had it pretty cushy on his Svetitskovloba. Only over the last fortnight, though, has Petter Svaetichin, Director and CEO of Chateau Mukhrani, been able “to really see a palace.” Before the chateau was “just a ruin,” but more recently, “hour by hour,” the chateau is “turning into just what we want it to be.” He hopes that the kitchen will be in shape by the end of next February, the restaurant by the following midsummer, and accommodations ready for guests by Svetitskovloba of 2013. 19.10.2012. EWBC (Digital Wine Communications Conference in Izmir, Turkey, November 9-11, 2012) announced its Grand Terroir Tasting Selection; only 2 wines were selected from Georgia, and one of them is Teliani Valley's white dry wine Samshvenisi Qvevri of 2010 vintage. The Grand Terroir Tasting is a showcase for wines from the wider region of the Eastern Mediterranean, including Georgia, Turkey, Lebanon, Egypt and Armenia. The goal is to present a broad and exciting picture of the region to over 200 wine influencers and writers from around the world by exploring wines from many countries side-by-side. 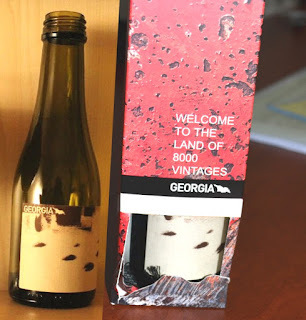 The Georgian Wine Association brought a range of wines from Georgia "Land of 8000 Vintages" to introduce its range of autochthonous varieties and wine making techniques, including wines from both the "European" and traditional (qvevri) styles. With this purpose on October 8, 2012 almost all the Georgian wine samples were sent to London for tasting. But in the final list of wines to be poured at the Grand Terroir Tasting set to take place during the EWBC - Digital Wine Communications Conference in Turkey - have been enlisted only two of them: Teliani Valley's white dry Samshvenisi Qvevri of 2011 vintage and Shuchmann Wines' Vinoterra Saperavi of 2009 vintage. In August Hvino News announced Miss Georgian Wine Photo Contest, which is now supported also by Georgia Today newspaper. Our contest will remain open for 15 days only. In November we will announce the winner, who will receive a very unusual SURPRISE GIFT from Hvino News. We are still accepting new photos, so any employee of wine company, wine shop, or other wine professional may send us her photo. And your wine business will get more publicity and a free promotion. But please hurry up - not much time is left. We know that best-looking women are working in Georgian wine industry, so please do not be shy and take advantage of our Contest! And please take a look at current photos and vote - by "liking" them here. The tower is surrounded by 4 fountain pools, near which the dispensers with sensor taps are installed. Every day at 7 PM during 10 minutes the chacha will flow from them. 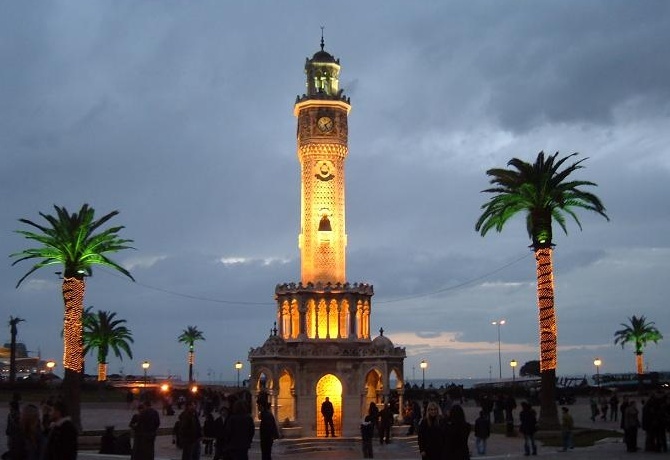 In March 2012, when the plans of Chacha Tower became known, chairman of the City Council of Batumi Giorgi Kirtadze said: "It will be a tower fountain, where instead of water the Georgian chacha will flow, and everyone - our citizens, foreign visitors and tourists - will have the opportunity to taste it." Mr. Kirtadze then noted that chacha will flow once a week for 15 minutes. Today at the opening ceremony the public was offered to drink chacha not from the fountain, but from dispensers. 17.10.2012. 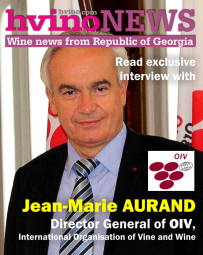 Even though Georgia registers its wine in the EU under the brand “Georgia - Cradle of Wine”, Armenia’s wine export will not suffer from that, Vedi Alco wine company head Manvel Ghazaryan says. In March 2012, the European Union registered Georgian wines under “Georgia - Cradle of Wine” brand (for details, see EU's Certificate on registration of "Cradle of Wine" trademark for Georgia). Some Armenian experts think Armenia should boycott this decision, as it influences the export of the Armenian production negatively (Read more: Armenia and Georgia disagree over slogan "Cradle of Wine"). “I don’t think it can create some obstacles for the export of the Armenian wines. We do not have such huge volumes of export to Europe so as to be concerned about this decision,” Ghazaryan said. According to him, such decision is pretty subjective. 17.10.2012 - (Hvino News) - The Hong Kong International Wine & Spirits Fair (HKTDC), one of the largest fairs of its kind in Asia, will open next month with more than 930 exhibitors from over 30 countries and regions taking part. The fair's fifth edition opens 8 November and continues through 10 November at the Hong Kong Convention and Exhibition Centre. The first two days are for trade only, with the final day, 10 November, open to trade and the public. According to official list, 5 Georgian participants will be present at Hong Kong Fair: Georgian Wine Association, JSC Sarajishvili, Kakhetian Traditional Winemaking, Tbilvino (all presented at Booth 3CON-039) and Winery Khareba Ltd (at Booth 3CON-040). Organizers also mention that "notable exhibitors will include Georgian Valleys Corporation, whose Jani Red Wine comes in a horn-shaped ceramic bottle. Georgians are known to toast with real bull horns filled with wine during special celebrations". 17.10.2012. On October 17, 2012, at 12:00 pm, USAID’s Economic Prosperity Initiative (EPI) will host an event at Tbilisi Marriott to award two local laboratories, Multitest and Wine Laboratory, with international accreditation certificates as part of U.S. Government support for Georgia’s economic growth and the enhancement of competitiveness of Georgian products (see also: Accredited local laboratories to increase agriculture export). 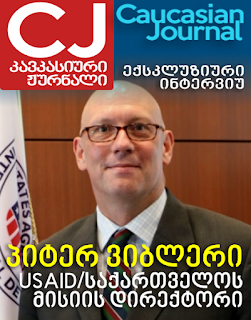 USAID Mission Director Stephen M. Haykin will attend the event along with representatives of Ministry of Economy and Sustainable Development, American National Standard Institute (ANSI), Georgian Accreditation Center (GAC) as well as local laboratories, food processors and supermarkets. Universally recognized and accepted test results and certificates from these laboratories will validate the quality of Georgian produce and enable Georgian exporters to have a better access to more high-end markets such as established supermarket chains. 16.10.2012. Random House of Canada has opened a Vancouver food-and-drink imprint called Appetite with a new edition of wine guy James Nevison’s Had a Glass 2013, subtitled “The Top 100 Wines Under $20”. It’s a noble challenge he’s set himself and it follows on the heels of several previous vintages, which he coauthored with long-time tasting partner Kenji Hodgson. The above-referenced little book led me to a Georgian wine that has become a favourite on my table: Marani Mtsvane. is a specialty listed white priced at a most reasonable $11.90. I didn’t know we had any wines from Georgia in the LDB, but we have two reds as well, one at $17 and the other a Merlot, from the same producer as the Mtsvane, for $27.90. I’m going to hold off on the big-ticket Merlot for now, but I can recommend the Mtsvane wholeheartedly. Mtsvane is one of dozens of Georgian wine-grape varieties, most if not all of which are practically unknown here. 16.10.2012. Georgia's Black Sea resort of Batumi was once a bleak site: Roads were dotted with pot-holes, the city was pitch dark at night, running water was scarce and the city's best hotel was infested with rats. Today Batumi glitters with neon lights and luxury high-rise hotels dot its skyline; soon the city will even boast a fountain flowing with Georgian grape vodka (Read more: "Chacha Tower" with spirit fountain opened in Batumi). 15.10.2012. Since billionaire Ivanishvili came to power by a majority of seats in parliament, the stakes of returning to the Russian market have increased. The embargo imposed by the Russian Government in 2006 can be lifted if political links between Tbilisi and Moscow are restored. For Russian leaders such fundamental change is possible if the new Georgian Government says “No” to NATO integration. The Georgian-born billionaire, who built his business empire in Russia but sold his assets before the election to focus on his bid to oust President Mikheil Saakashvili ’s ruling party in the October parliamentary poll, earlier said that Georgian businessmen should return to the Russian market as they were unprepared to export their products to the United States and the European Union. 10.10.2012. After "Tbilvino", other wine companies are talking about the government’s intervention in wine business. Tbilvino's director general Zurab Margvelashvili announced that the state grew a farmer’s satisfaction at the expense of private companies and doubled the price for rkatsiteli for the company. The announcement was made by the company's director at a meeting of Bidzina Ivanishvili with businessmen. According to “Askaneli Brothers” founder Jimmy Chkhaidze, the state artificially increased the price of grapes this year and participated in its regulation. “If the state establishes the price of 3 GEL for grapes, we have to pay 3 GEL, so we’ll have a loss,"- Chkhaidze says. In his words, the harvest subsidizing is not bad, but the state should not take part in regulation of prices for grapes, as this is clearly means interference with business. "Alaverdi" company's director Zurab Gogashvili calls vintage subsidizing absurd. 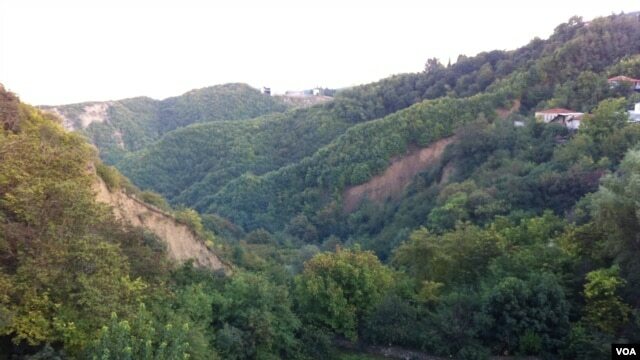 He notes, though Alaverdi has its own vineyards and does not have to buy grapes, the state subsidizing is unjustified. Shuchmann Wines' commercial director Levan Davitashvili partially agrees with this opinion. He notes the company owns its own vineyards, but he shares the assessment that the state increases a farmer’s satisfaction at the expense of private companies. 13.10.2012. Tbilvino, Georgia’s largest winemaking company, commenced harvest in the newly established grape primary processing plant in the town of Kvareli, Kakheti region. Grape primary processing plant is equipped with the modern, European processing technology, provided by the renowned Italian manufacturer Della Toffola. The processing facility is sited in a 2500 sq.m building on a 1.5 ha territory in the town of Kvareli. The capacity of the primary plant allows Tbilvino to process 5,000 tons of grapes per season. This is the largest and most modern wine primary plant constructed during the past few years in Georgia. The construction of the primary was made possible though the partnership and support of International Finance Corporation (IFC), who provided a $1.5 million loan to accomplish the project. 12.10.2012. Six years ago, Russia hit Georgia with a wine embargo. Suddenly, a market that had taken 80 percent of Georgia’s wine exports was closed. Now, in the days after Georgians elected a Moscow-trained prime minister, there is serious talk of lifting the embargo. In Sighnaghi, a 120-kilometer drive east of Tbilisi, some winemakers say they have adjusted to business without the massive Russian market. Here in the eastern hills of Georgia, archeologists say they have found the earliest evidence of grape cultivation and winemaking in the world. Eight-thousand years ago, wine was made in kvevri - massive clay jars lined with beeswax and buried in the ground. For hard-core wine purists, a pilgrimage must be made to eastern Georgia, where they still use a 5,000-year-old technology called qvevri. There, wine is aged in huge, beeswax-lined, turret-shaped clay pots that are buried in soil. In this deeply religious country, winemakers are obsessed with purity. Sulfur is still associated with the devil, and many shun it and other additives. I was compelled to take the trip after a few stateside glasses of juicy, rusty-hued kisi and the honey-scented mtsvane (both whites) and spicy saperavi (a red). After a bumpy Aerosvit flight, I arrived ragged to a crumbling, yet beautiful, wine-obsessed country at the precipice of viticultural modernization. There are already some large wineries using stainless steel tanks and making chardonnay, but I visited a number of others — including Alaverdi Monastery and Pheasant’s Tears — who still do it the old-fashioned way. At one vineyard, I met a winemaker named Iago Bitarishvili. It soon became clear that he was the master of chinuri. He stomps the grapes, fills the pots, seals the wine for fermentation and bottles it when stable. Only after drinking his chinuri’s lemony richness was I revived. AGC, agency which founded Hvino News, continues its marketing and media research in the wine industry sector, and constantly develops more complex analytic instruments. In recent months AGC has conducted a series of "Media Audits" of 14 Georgian wine making companies. 11.10.2012. The American National Standards Institute (ANSI) accredited Wine Laboratory and Multitest, two Georgian laboratories testing agricultural export commodities such as wine, mineral water, hazelnuts and fresh processed fruits and vegetables. According to the Economic Prosperity Initiative (EPI), a monthly business digest, one year long-term project was completed successfully. 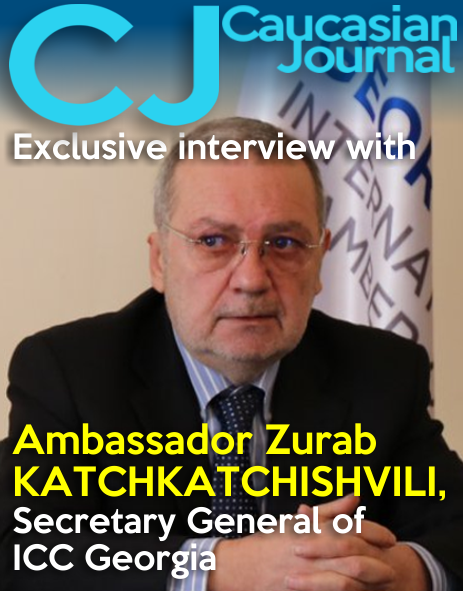 “It created a key technical barrier in increasing the export of Georgian products to international markets, we (EPI) with the Georgian Accreditation Center (GAC) and the American National Standards Institute (ANSI) have been working to improve Georgia’s capacity in accreditation and conformity assessment,” the EPI newsletter reads. (See also: U.S. Government supports international certification opportunities for Georgian agriculture products). 11.10.2012. The opening of the new triggered great interest among customers. The 25 million Lari investment store boasts the cheapest prices in town and offers weekly sales and discounts on various products. Georgia Today asked the Carrefour General Manager Jean Louis Clary to talk about the current situation, the ongoing auctions and the immediate agenda of the hypermarket. Q: How did the idea to enter the Georgian retail market come about? A: Carrefour in Georgia is MAF Carrefour, which is a joint venture between Carrefour Group in France and Majid Al Futtaim Group in Dubai. MAF Carrefour started operating 15 years ago in Dubai and later on began to expand and develop its circle. We chose Georgia because it’s in the Caucasus region and is a great country to start a business in. 10.10.2012. September and October have been quite busy not just with grape harvesting but also by frequent wine tours from different countries. Among them, the most important were tours of Marani wine distributors from Kazakhstan and Lithuania. September 17-20, 2012: Marani hosted 9 representatives of White Hole Almaty from Kazakhstan. The guests fully appreciated the closer look to the wine –making technologies implemented at Marani. A special wine-tasting was arranged for them at the Kindzmarauli tasting pavilion. The vintage impressed the guests a lot with the related outdoor fun and excitements. The final touch of the pleasant stay of White Hole Almaty reps in Georgia appeared the fourth day of the tour when they had a chance to admire the historical monuments in Kakheti, Tbilisi and Old city of Mtskheta. Tbilvino's Georgy Margvelashvili: "Business elite in Russia is waiting for Georgian wine"
09.10.2012. Power in Georgia has peacefully changed hands after a tense parliamentary election but as the next government takes shape under billionaire Bidzina Ivanishvili, the likely prime minister, businesspeople face political uncertainty. Ivanishvili has no experience of government, presides over a six-party coalition which he says could splinter in parliament, and faces months of uneasy cohabitation with President Mikheil Saakashvili, a political rival. Business chiefs are therefore eager to know how he plans to fulfil promises to relax government control of business, create jobs, raise pensions and welfare benefits, offer free healthcare and education, and improve ties with Russia. "All businessmen have mixed feelings," said Fadi Asly, head of the International Chamber of Commerce in Georgia. 08.10.2012. Georgia’s capital last weekend was the scene of elaborate display of handicraft, winemaking, food and fun, as the annual celebration Tbilisoba as usual drew large crowds to engage in various aspects of Georgian traditional ways of life. Tbilisoba has been celebrated almost every year since 1979, except for a five year hiatus in the 1990s. It has traditionally been celebrated the last weekend of October, but for the last two years the festival has been held in mid-October. As usual, it spanned from Friday to Sunday and presented various cultural events, mostly in the older parts of Tbilisi, an area with a very long history. This year’s celebration started on Friday with an exhibition of periodicals from the last century. A concert was held at the National Library. Later, another exhibition was held of unknown photos of well-known Georgian artists. Vera Kobalia: "Each family has its own vineyard"
- What about the wine industry in Georgia? What are the consequences of the Russian embargo after six years? 08.10.2012. Russia's Chief Sanitation Doctor Gennady Onishchenko has said that Georgian wine will hardly make a comeback to the Russian market in the nearest future. "Despite the well-known changes in Georgia we still don't have any reasons to assume that there have been any constructive changes on the issue on the part of the authorities in that country," he said to Interfax on Monday. "Nevertheless, contacts with the business community continue. As proof of that there will be a meeting with representatives of the Georgian winemaking business in Moscow on Monday," he said. Earlier Onishchenko said that the approach of Tbilisi is obstructing the return of Georgian wines and mineral water to the Russian market. The opposition coalition led by billionaire Bidzina Ivanishvili who announced intentions of returning Georgian commodities to the Russian market won the parliamentary election in Georgia last week. Levan Mildiani: "We are prepared to ship our wine to Russia tomorrow"
07.10.2012. (Hvino News). Levan Mildiani, owner of Midiani wine company, appeared today in the television program "Programma Maksimum" on Russian TV channel NTV. The program was focused on the consequences of recent parliamentary election in Georgia, won with overwhelming majority by the opposition coalition "Georgian Dream" led by Budzina Ivanisvili, rival of current Georgia's president Mikheil Saakashvili. "We are working for the American consumer", - said Mr. Mildiani in his interview to Russian correspondent, demonstrating his company's products and premises in Alazani Valley, Kakheti Region. "The Russians, it seems to me, are genetically tied to Georgian wine... We are prepared to ship our wine to Russia even tomorrow. We are sure that the factor of Ivanishvili will play main role in that", - noted Levan Mildiani. To watch the full video of "Programma Maksimum" (in Russian), click here. 06.10.2012. As the Tbilisi City Hall representatives say, “Tbilisoba 2012” will be full with festive events, which will take place in the old parts of the city and its nearby area. Tbilisoba is a annual October festival, celebrating the diversity and history of Tbilisi, the capital of Georgia. It was first held on October 28, 1979, and has since become an established tradition. Traditionally, winepresses will be installed on the Meidan. 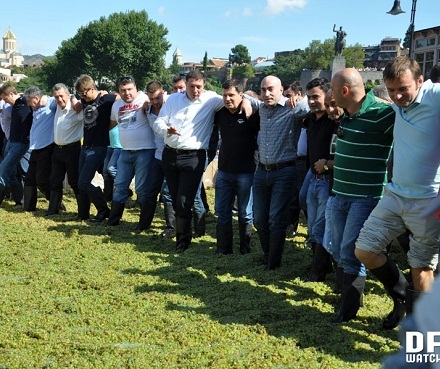 Tbilisi Mayor Gigi Ugulava is also on Meidani and he takes part in the grapes pressing process. The citizens have opportunity to participate in the pressing process, which is carried out in 60 sq. m. winepress, where 5 tons of grapes are placed. The holiday guests are also able to taste grape juice and to take it home too. Concert of a folk ensemble is planned in Abastumani, fruit and tea festivals, auto-shows, various sports activities, young poets evening and the award ceremony of the literary contest “Gala” will take place on this holiday. Rafts will be arranged. The festive events will be finished with a gala concert on Europe Square on October 7. 04.10.2012. According to the head of the Rtveli HQ, the process of grapes delivery is being held smoothly and "Rtveli 2012" is coming to an end in the region. Paata Chavchanidze says the government continues to subsidize the vintage and all the farmers who will deliver up grapes will be able to convert a voucher into cash in Liberty Bank's branches in Kakheti, while private companies will cover the amount in accordance with agreement. The Rtveli Headquarters informs, this time in total 35 thousand tons of rkatsiteli and 16 thousand tons of saperavi have been collected and processed. Farmers receive 1 GEL per one kg of grapes. I choose a red from a regal row of bottles, fumbling with the pronunciation. 04.10.2012. Delhi Wine Club celebrated its 10th Anniversary last month as it organised the 200th event at the Hotel Hyatt Regency for a record 260 people. An association with Ethos and Rolex of Switzerland made it possible for the Club to raise the variety and standard of wines for the sit-down dinner, write Stephanie Jan and Joachim Lefaure, the French sommeliers couple who are also members of the Club. The long-time planned event was awaited by the wine lovers all excited to taste the carefully chosen eleven wine selections by our President, Subhash Arora. Thanks to our President Subhash for inviting samples of lesser known and under-estimated Georgian wine culture. Georgia is one of the oldest wine producing countries; its roots have been tracked back to 6000 BC (5400 years before France!). The two Georgian wines selected were both from the Kakheti region (east of the country) and made of the indigenous Saperavi grape. 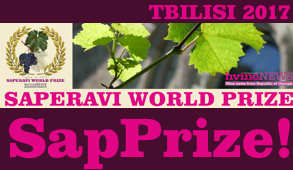 Tbilvino (importer Tabuni Wines) is the result of a privatization of a former state winery. The company does not own vineyards but sources grapes from more than 300 growers in the nearby areas. It is the largest wine exporter and has an impressive collection of international wine competition trophies. Tbilvino 2010 presented intense aromas of fresh cherries, tar, coffee and chocolate. The small astringent tannins contrasted with a refreshing acidity. Askaneli Brothers shows how a company is excelling in wine making and offering a wide range of intriguing indigenous grapes. The incredible Mukuzani 2005 has evolved aromas of cedar, pepper, cherries, brown tobacco with rounded and velvety tannins. a) restoration of diplomatic relations with Georgia. b) abolition of the visa regime with Georgia. c) return of Borjomi and Georgian wine to the Russian market. d) termination of anti-Georgian campaign state mass media. e) start of negotiations on the fate of refugees from Abkhazia and South Ossetia. f) well, and the visit of VVP [Vladimir Vladimirovich Putin - HN] to Tbilisi. So, VV, shall we go?.. Echo of Moscow is a top-rated radio station based in Moscow, broadcasting in many Russian cities and internationally, and described as "the last bastion of free media in Russia" by Wikipedia. Mr. Venediktov is known as influential journalist who has interviewed Mikhail Gorbachev and President Bill Clinton, among others. 02.10.2012. He collects rare animals, buys priceless art and professes to be a psychoanalyst. Bidzina Ivanishvili, a onetime barefoot village boy turned eccentric billionaire philanthropist, looks poised to become the new leader of Georgia, a strategic South Caucasus country that lives in the shadows of giant neighbor Russia. President Mikhail Saakashvili, a staunch ally of the West, on Tuesday acknowledged defeat in parliamentary elections and called on Ivanishvili to form the new government. That puts the tycoon on track to be prime minister, which will be Georgia's most powerful job under constructional changes next year. After making his fortune in tumultuous post-Soviet Russia, Ivanishvili, 56, returned to Georgia shortly before the 2003 Rose Revolution catapulted Saakashvili to power. For years he quietly financed Saakashvili's reforms, buying new shoes for Georgian soldiers, equipping the police force with cars and helping to raise the salaries of lawmakers and ministry bureaucrats so that they wouldn't take bribes. 30.09.2012. Sagarejo, Georgia — The green grapes that Temuri Dolenjashvili and his wife snipped from the vines Sunday and emptied by the bucket into the back of their truck provide the only income for their extended family of five. The harvest also gave a welcome day's work to an unemployed father and an elderly neighbor whose $75 monthly pension has to help feed her unemployed son, his wife and their sickly child. Poverty and a lack of jobs are what worry Georgians most going into a tight parliamentary election on Monday that will decide the future of the pro-Western government of President Mikhail Saakashvili. For the grape pickers and others like them struggling to make ends meet on rich agricultural land and unable to sell their produce to Russia, the election offers some sense of hope. Since coming to power nearly nine years ago, Saakashvili has transformed this former Soviet republic and put it on a path toward what Georgians hope will be eventual membership in the European Union and NATO.